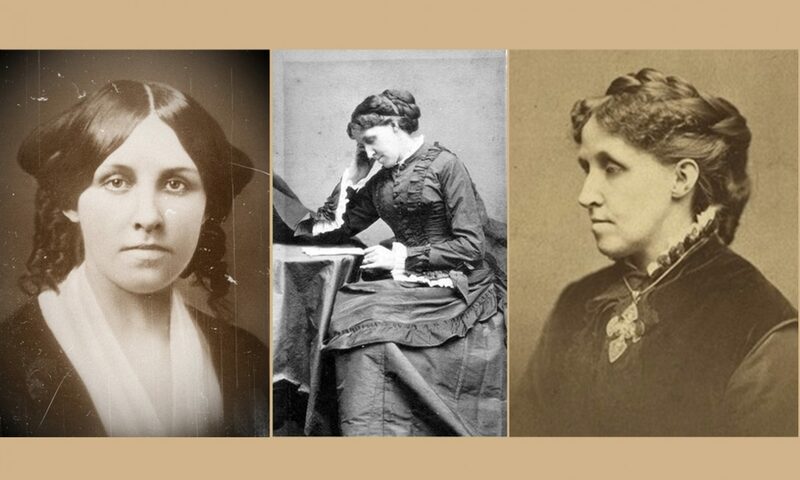 Louisa May Alcott is My Passion has a lot of information and commentary to share about the life and work of Louisa. 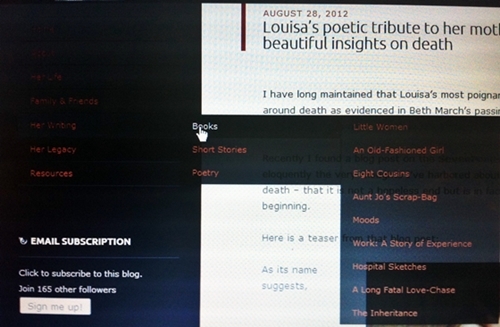 The key to getting the most out of this blog is to understand how to use the menu items found at the top of the page. All but the Home menu are drop-downs that lead to various subjects covered in the blog. For example, if you love Little Women, go to Her Writing and you will find a sub-menu, Books, where Little Women is listed. Selecting Little Women will bring up every blog post that has anything to do with Little Women. Are you looking for a good biography written for adults? Or perhaps for children? Go to Her Life and select Adult Biographies for adults, or Juvenile Biographies for children. 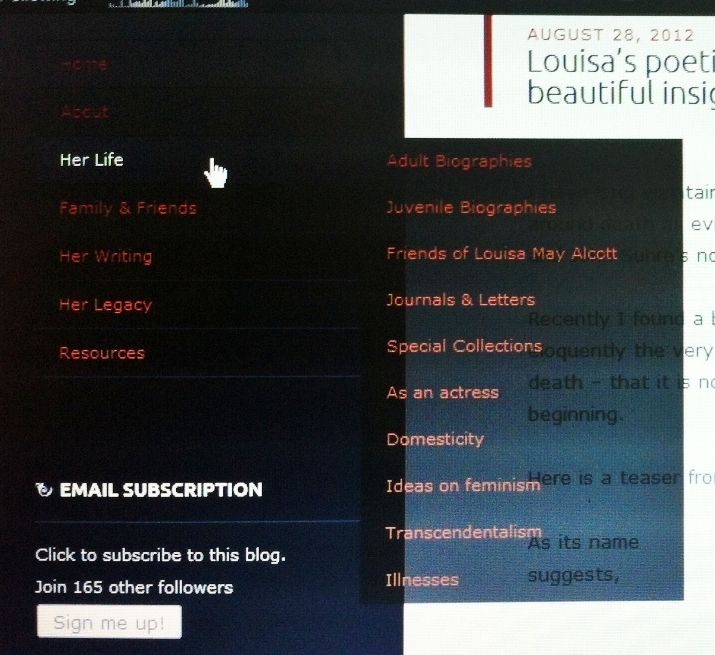 Every blog post that has anything to do with adult or juvenile biographies will come up for your perusal. As you explore the menus, you will see just how deep this blog is with information. It is hoped you will find what you’re looking for but if you can’t, feel free to contact Susan at louisamayalcottismypassion@gmail.com with your questions. I hope you enjoy your time here at Louisa May Alcott is My Passion!